Less than a week after being released into the wilds of his own private music preserve, Tidal, JAY-Z’s 4:44 has been certified as platinum. 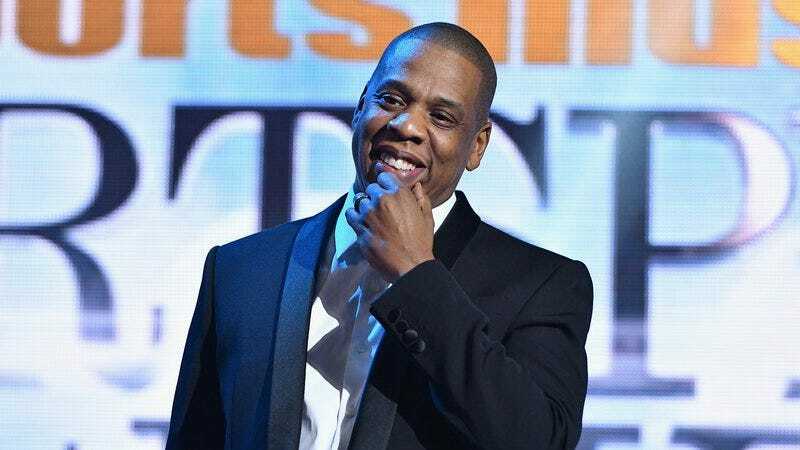 In the old days, that would have simply meant 1 million copies of the “Kill Jay Z” album had been sold, but last year, the RIAA expanded its rules to count 1,500 streams as a single “sale.” That’s how JAY-Z’s old (possibly former?) friend Kanye West scored the first platinum record using only digital streams last year, for The Life Of Pablo. Now, despite Tidal’s relatively small install base—it claimed 3 million subscribers last year—and the fact that the album was initially only available to people subscribed to the service before its release, 4:44 has still apparently managed to hit the musical milestone. There is at least one little wrinkle to the accomplishment, though; as The Verge reports, not all of those sales came from listeners. Tidal’s partners/co-owners at Sprint have been handing out free voucher codes for the album (which you can redeem right here). The phone provider purchased all of those copies of 4:44 from JAY-Z, meaning that each download counts as another sale for RIAA purposes. The rapper did something similar (with Samsung) for his 2013 album Magna Carta Holy Grail.